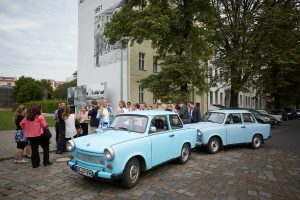 Why Visit An Event Taking Place In… Berlin? Home>All News>Why Visit An Event Taking Place In… Berlin? Summer roof terraces and beach bars, winter Christmas markets and shopping –sightseeing and museums at any time of the year. Berlin is 365/24 – open 365 days a year, with a 24-hour programme every day. You don’t have make detailed plans for your trip here – when you’re here, the city is your inspiration! 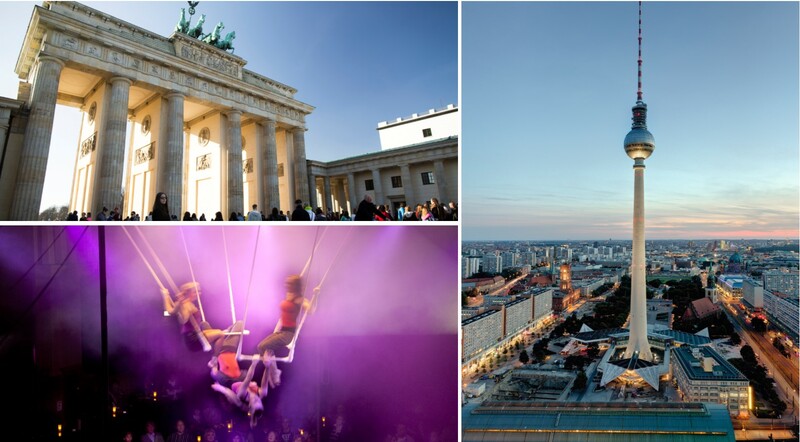 Berlin has the perfect mix for every taste – any time, any day, all year round.
" Berlin is always worth visiting – that’s a promise! No need to look at the event calendar – you’re sure to find your style of event whenever you come to the city.	" You definitely don´t want to miss Berlin! Besides the top tourist attractions, Berlin offers a wide range of other interesting sights to see. Visit the popular food markets in the Berlin market halls. Charlottenburg Palace is particularly splendid. You can also experience Berlin’s beautiful natural surroundings, by taking a hike in one of the many parks offering nature, tranquillity and water. You can get to Berlin easily and comfortably. The airports and railway stations have great connections to your destination. If you’re driving, please note: downtown Berlin is an environmental zone. This means you need to get your vehicle a sticker indicating its emissions rating. Berlin offers a wide selection of hotels for you – from budget accommodation to 5-star luxury. The hotel selection includes accessible, family-friendly and LGBTQ hotels. The Berlin travel advisors will be happy to assist you and answer all your questions. Every Berlin tour is sure to include the TV Tower with its stunning views, the famous Brandenburg Gate and the Reichstag parliament building. Friedrichshain park is one of the city’s most beautiful and is its oldest municipal park with a trendy vibe. More great insider tips include checking out the often overlooked German Spy Museum, which showcases espionage technology both old and new. Fahrradstation is the place to head for bike tours to see as much of Berlin on two wheels, as you can. Sightseeing can make you hungry. Berlin has many markets where you can eat great food. 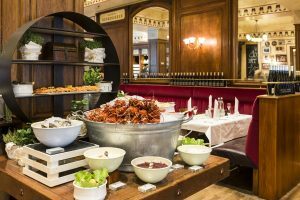 Brunch is also making a comeback in the breakfast cafés – in Berlin, brunch goes on until the afternoon. The German capital offers flare from every corner of the world, but you should also seize the opportunity to discover unique Berlin cuisine once you are in the city. Brauhaus Lemke (Lemke Brewery) offers solid, traditional German food in a cosy setting with wooden furniture. Enjoy your meal with a glass of the brewery’s very own craft beer. For a quick snack, you should try the classic German Currywurst – a fried sausage covered in tomato curry sauce. Snack bars can be found all over the city, and they are the perfect way to experience an authentic Berlin lunch. Berlin has a wealth of activities for families with children – whether toddlers, pre-teens or teenagers. The city has attractions, theatres, cafés, museums, events and tours, all especially for children. Berlin has everything children love from farmyards to puppet shows. You can find tips on activities for the entire family. Explore Berlin together with your children – and enjoy some quality family time! Berlin hotels are hit with young and old, too. There are many rooms designed with families in mind with space to relax, play and work off some energy. 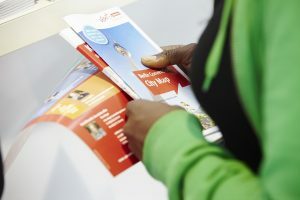 If you need advice about the best way to get into the city centre upon your arrival at Tegel or Schönefeld, each major airport has their own Berlin Tourist Information Office that can help with information about public transport options. Berlin’s main train and bus stations also have tourist information offices, with multilingual staff who can give advice about the Berlin WelcomeCard, visitor attractions, offer city maps and even help book accommodation for your stay. 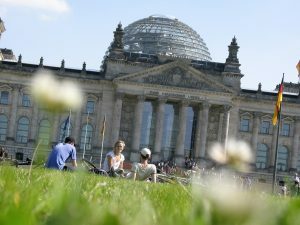 While out and about, you’ll find offices at major locations like the Brandenburg Gate, in the Park Inn at Alexanderplatz and the Europa-Center.